(Born: 5/15/1938) – Executive Director, Creator/Host of SIT AND BE FIT, Mary Ann Wilson, RN began her career as a registered nurse, specializing in geriatrics and post-polio rehabilitation. In 1985, while teaching aerobics to older adults, Mary Ann noticed a high incidence of injury and attrition among her students. In response, she designed a gentle program tailored to their special needs. As students began reporting marked improvement in their physical and mental health, Mary Ann became convinced that there was a need for this type of exercise program on a national level. With persistence, she convinced the PBS station, KSPSTV, to produce SIT AND BE FIT. In 1987 the first series of 30 programs was distributed nationally to PBS stations. The program was an instant success, and today, thirty years later, SIT AND BE FIT remains a feature “how-to” program on public television. 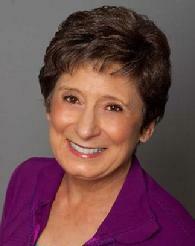 Mary Ann is the creator and host of 330 nationally syndicated television episodes and 34 workout products. She continues to teach fitness classes at local retirement communities and uses feedback from her students, as well as ongoing research, to continually update the SIT AND BE FIT television series.